To organize a counter-attack in response to the Bolshevik Revolution, Krasnov and his troops wait for reinforcement at Tsarskoe Selo, the site of the former imperial summer palace. The Cadet Uprising. The cadets of the Petrograd military schools, i.e. the Vladimir Cadet School and the Pavlovsky Cadet School, start a revolt, led by G.P. Polkovnikov. Among other spots, they capture the building that hosts the main telephone center and the Mikhailhovsky Manege. Originally, these guys had planned to sync their attack with Kerensky's and Krasnov's attack, who were currently waiting at Tsarskoe Selo, as above mentioned. Unfortunately for the cadets, however, Red Guards captured one of them and made him a canary. Therefore, the cadets decided to strike today, too soon it turned out. The Reds put down this revolt within a day. Battle of Pulkovo. Kerensky's counter-offensive fails. 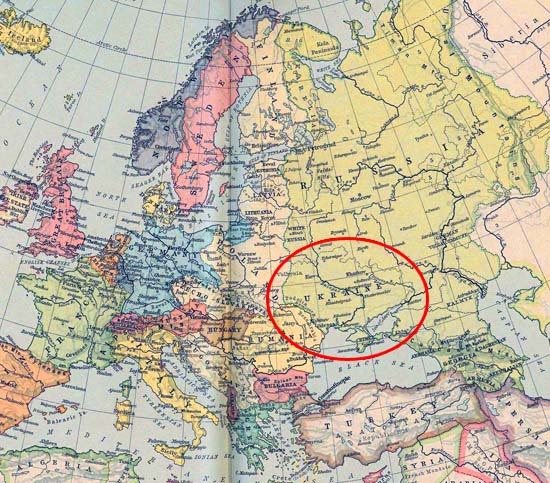 The Ukrainians form the Ukrainian People's Republic, also called the Ukrainian National Republic. They will declare their independence from Russian on January 22, 1918. Today is the election for the Constituent Assembly. This Assembly will write the new constitution for the Russian people. At least that's the general idea. The Constituent Assembly will convene on January 18, 1918 (January 5, 1918 old style). This gives the Bolsheviks exactly 54 days to come up with Plan B. And they won't miss a beat. The Bolshevik government declares the Constitutional Democratic Party illegal and orders the arrest of leading Kadets. Kornilov and others escape from prison in Bykhov. 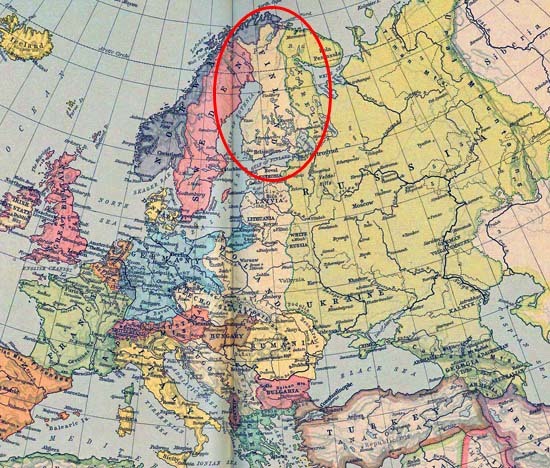 Finland declares its independence from Russia. Here is the map. 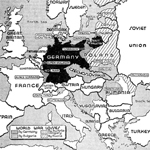 WWI Armistice between Russia and Germany. The Bolshevik government establishes its secret police, the VCHEKA, which is short for All-Russian Extraordinary Commission for Combating Counterrevolution and Sabotage, only in Russian. Feliks Edmundovich Dzerzhinsky is appointed comrade in charge, see photo top of the page. Also called CHEKA, or VECHEKA, this is the early KGB. Dzerzhinsky will soon impress with his skills in efficiently setting up and running concentration camps. 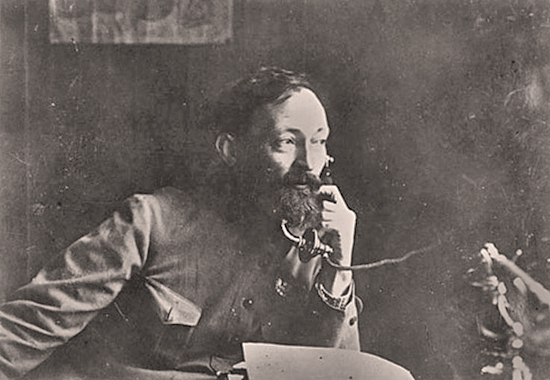 Dzerzhinsky's nickname was Iron Felix. And speaking of names of all the best wrestlers. Stalin derives from the Russian stal, meaning steel. Molotov derives from the Russian word molota, meaning hammer. And Kamenev derives from the Russian word kamen, meaning stone. The Moldavians declare their independence from Russia. ... or История Русской Революции 1917, if you speak Russian. Setting the mood for a study of the Russian Revolution.